Combine ingredients in a highball glass with small cubed ice. Garnish with cucumber ribbon, orange peel and mint (optional). Mint Syrup: pour 1 cup hot simple syrup over 3 tablespoons of mint leaves. Steep for 12-16 hrs and strain. 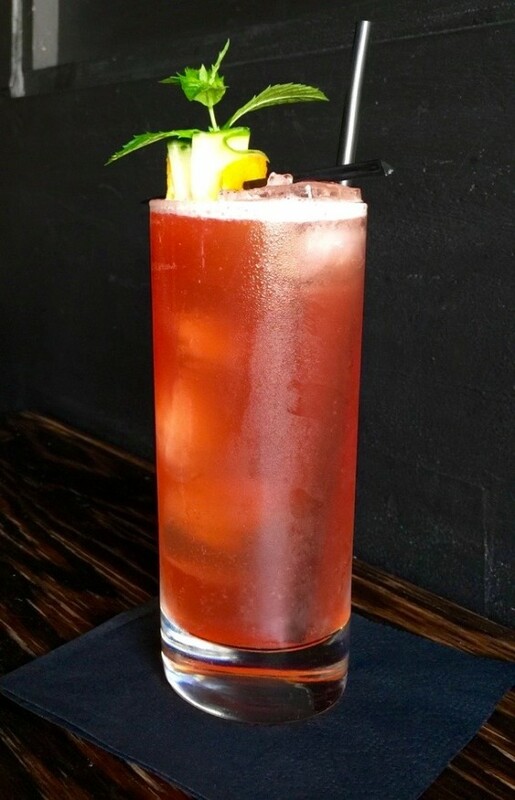 Recipe by Drew W. Conroy, Bartender at Tullulah’s in Bay Shore.